It was the middle of the day. There were four of us. A woman, her husband, their doula, and a baby ready to be born. The light was muted by curtains. 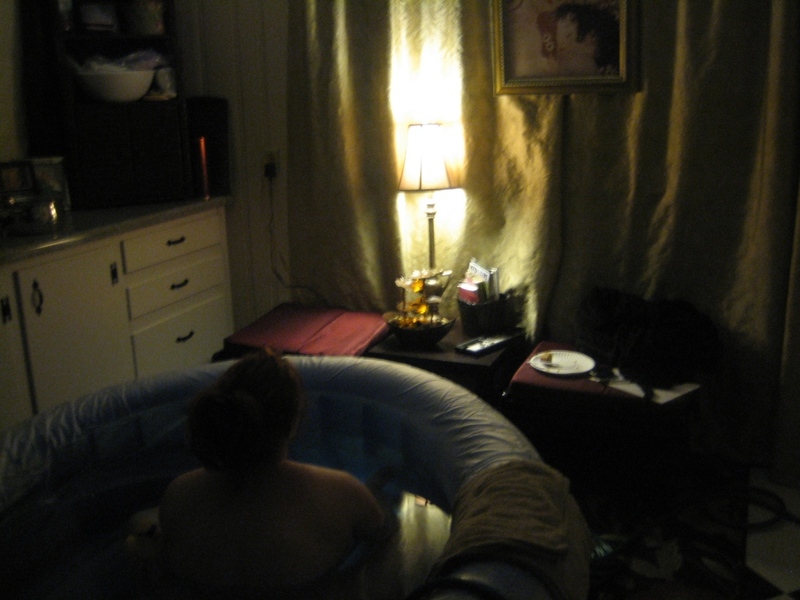 She had carefully created this birthing room in her home. It was an ordinary weekday. The neighborhood went about its business. The postman delivered the mail. In the distance, someone cut the grass. The school bus picked up and dropped off children. But inside the birthing room, something transcendent was happening. Inside the birthing room, there was silence. For an hour, complete silence as the woman worked with her waves. The only sound was water. Each time a wave began, I slowly poured water from a pitcher down her back. And in the background, water flowed from a fountain she had placed in the room. I didn’t dare speak. The space was heavy with the sacred. I will pour out my Spirit on your offspring and my blessing on your descendants. where she may have her young—a place near your altar. “Fear not, for I have redeemed you by name; you are mine. I glimpse the sacred at all births I attend. I feel near to the altar. Like a priestess serving the woman; but ultimately the Author of this new life. It is a meeting of worlds–the spiritual and physical. Soon after, the midwife and her apprentice arrived. The baby was born. And the world carried on, though forever changed by a new life. As birth servants, may we ever tread carefully in these birthing rooms. These altars. Posted in Beauty, Birth, Prayer and tagged homebirth, spiritual birth. Bookmark the permalink. That was beautifully written. Thank you for all you did for me during the birth of my two sons. WOW! what a beautiful piece of writing! The moment of birth is sacred. I will never forget it. It is such an awesome time…the creation of a life. Tread carefully for sure. In our gestalt as birth attendants we have power to intrude and alter the natural rhythms of birth, and we also have the power to gently witness, and help hold the sacred space in love and peace for the birthing woman.